Epidemiology will host Brenda M. Birmann, ScD, to present, “The Elusive Etiology of Multiple Myeloma,” on Tuesday, December 13, at 1:00 pm in RG 6040. Dr. Birmann conducts population-based studies on the etiology of multiple myeloma, an incurable malignancy of differentiated plasma cells, with the goal of identifying modifiable risk factors and elucidating underlying biologic mechanisms that may be exploited for myeloma prevention. Her research in the Nurses’ Health Study and Health Professionals Follow-up Study cohorts and in international consortia has, to date, focused primarily on the role of body mass index–the only known modifiable risk factor for multiple myeloma–and more generally on the role of energy balance- and inflammation-related factors in multiple myeloma etiology. Her talk will include a brief review of the epidemiology of multiple myeloma, including her recent work on obesity, aspirin use and genetic susceptibility and a discussion of research directions that could further advance the development of much-needed prevention strategies. Brenda M. Birmann, ScD, is an Assistant Professor of Medicine at Harvard Medical School and an Associate Epidemiologist at the Brigham And Women’s Hospital. Dr. Birmann’s research focuses on the epidemiology of hematopoietic malignancies, on oncogenic virus infections, and on the assessment of immune dysfunction for epidemiologic studies. Her primary active research projects are prospective evaluations of lifestyle correlates of energy balance (anthropometric measures, physical activity, diet), other immune-modulating lifestyle factors, and biomarkers of growth factor, cytokine and other endogenous hormone dysregulation in the etiology of multiple myeloma (MM) and lymphoma. Dr. Birmann conducts studies in the Nurses’ Health Study (NHS) and the Health Professionals Follow-up Study (HPFS) populations at the Channing Division of Network Medicine. 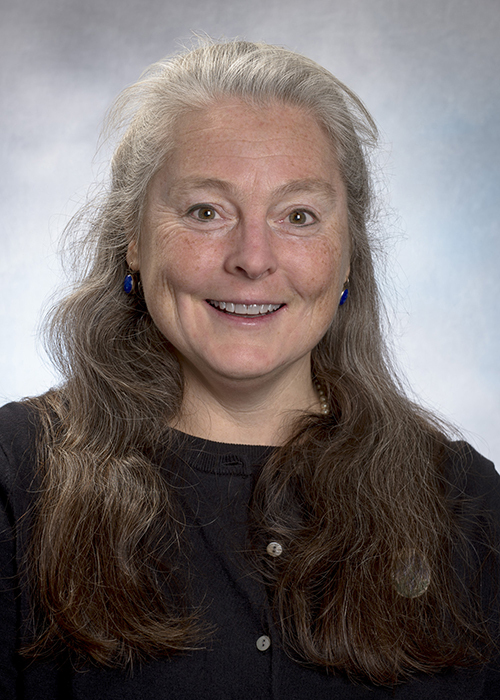 She also conducts studies in collaborative contexts, including with colleagues in the Dana-Farber/Harvard Cancer Center SPORE in Multiple Myeloma, the International Lymphoma Epidemiology (InterLymph) Consortium, the International Multiple Myeloma Consortium (IMMC) and the Lymphoid Malignancies Working Group (LMWG) of the NCI Cohort Consortium. As a present co-leader of the LMWG and former Chair of IMMC and of the Infections and Immunology Working Group of InterLymph, she helps to facilitate cross-consortium communication to nurture further collaboration on etiologic research, and she represents the NHS and HPFS cohorts in a large international consortium (formed among InterLymph and LMWG member studies) conducting a genome-wide association study of NHL.